We know you probably need your gift now, but why not try your luck, just include your details below and see if you win this music box. Yes, we are simply giving it away! Include your name, phone number and email address in order to enter the contest, one winner picked every month. We will send you an email if you are the lucky one of many! By entering the contest you agree to receive our offers and best deals no more then once a month and usually only during big sales. - Dimension: 11� x 8� x 7.5� Good Luck and Enjoy!! Value $275. There is absolutely NO CATCH, just put your name and email so we can contact you when you win, that is it! Good Luck! "I still can't believe I won, shocking but totally true, wow, thanks a lot, will be ordering another gift from you guys soon as well ;) GO Music Box Attic!!!" "First of all thank you very much for the immediate discount I received just by signing up for a contest. Not only are offering a giveaway item for free that is absolutely fabulous but I first and foremost received 15% off on my purchase that I had initially put through. The original box that I ordered was better then what it was described as or shown on the web, so that was a surprise on it's own, it came quick, fast and perfectly packaged, you must of shipped it minutes after the order came in. Then, what would you know, I get another email stating I had won, I actually won??? I couldn't believe it, the wooden box you sent me with You Are My Sunshine was probably even better then my original purchase and for free. I am still in disbelief and can't thank your company enough times, you guys do great work, try hard and are a diamond in the ruff. I am so glad we have found you guys and will ordering again and again, these are amazing gifts and are all musical which my family and friends love, and I am sure everyone loves music. So we highly recommend Music Box Attic to everyone, 2 thumbs up and 5 stars!!! Melinda :)"
"Thank you very much for beautiful box you sent me with Fur Elise in it, my daughter's name is Elise so this was perfect for Christmas, I can't believe I had a gift this year early enough and didn't even have to bother looking for a gift at all, the box is perfect and I know she'll love it, bless you all and happy holidays :)"
"I have been buying music boxes from Music Box Attic for 8 years now, every holiday season, or a few months before the craziness, I purchase music boxes for all my grand kids, this year was no exception, they were terrific as always, 7 music boxes, all perfect, with all wonderful tunes and engraved exactly as I had requested, but this time I decided to enter a contest I have been seeing Music Box Attic doing for a couple of years now. I have never actually won anything in my life and didn't think of anything this time around either, I just got a hint from Boris that I could get a coupon that way, and what a coupon it was, a 15% off coupon for entering to win, what a deal, get a huge discount and have a chance to get a music box for free, sign me up. Anyways, I got an email saying I won, it was an automated email, I honestly thought it was a joke, but I replied of course, provided my address and name, etc...in less then a week, a stunning photo frame music box shows up at my door step. 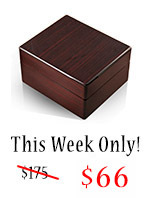 I called Boris and said "I didn't order this", and they started looking into my orders and agreed, but after some more digging they figured out I was a WINNER, I actually won something, and this was a gorgeous music box, beautiful glossy wood, excellent quality, I have no idea how they can give this away for free, must cost them a fortune. I am still in shock and aww. Thank you so much Boris and guys at the Music Box Attic, forget about the free music box, everything they do is great and top notch, best Christmas gifts, unique and top quality, and the service is unmatched, 5 stars!!!" "You guys made my day, week, month and year. Obviously I didn't expect to win, when I did I couldn't think of a better gift then this even if I searched the net for a week, I am keeping it and wrapping it to give to my daughter on Christmas, if I knew this box is so nice I would have simply purchased it, but for free is even better, haha, of course. Thank you so much team Music Box Attic, you guys are absolutely amazing, the happiest customer ever :) (Michael from Florida)." "Oh my, words can't express the gratitude I have within me right now, I didn't think it was real neither did I believe when I got the email, but sure enough there it was at my door step, a package with my name and everything and I didn't even pay for the shipping, everything was free, still can't believe it. The music box was perfect for an upcoming event, the funny thing is I have been searching and searching for weeks now trying to find the perfect gift, and there it was, at my door step, and didn't even have to go looking far. Thank you, thank you, thank you, Music Box Attic is absolutely fantastic, 5 stars, two thumbs up!!!!" "Thank you very much for the wonderful music box, the one we won was actually nicer then the one we bought, will cherish both of them in our family forever." "Probably just like the rest of the winners below I couldn't believe it either, finally winning something in my life that wasn't a lollipop was pretty cool. Thanks Music Box Attic for the cool music box, I gave it to my Mother and she loved it, I didn't tell her it was free or anything, but I would have paid $125 if I bought it directly, so thanks again, can't say thanks enough!" "Thank you Music Box Attic and Boris for the beautiful Picture Frame box you sent me which was absolutely gorgeous and lovely. The fact that I won it, the fact that it was free, no words can describe my excitement. Thank you so very much, it will be a perfect gift for my daughter. The box itself was very cool with the pop our lens style photo frame top, I have never seen anything like that, I will definitely get a few more for my other friends and relatives and don't mind paying because the product is excellent and the service is top notch, 5 stars :)"
"Purchase a music box and signed up for the contest to get a coupon, Boris told me to sign up for the contest to get a coupon, it was 15% off, sign up to get it, worth it every penny, takes a second and you get the coupon in your inbox. I got the music box I originally ordered, amazing quality and service, great price too, can't ask for more. Wouldn't you know it a few weeks later I got an email that I won, was blown away, got a great deal on a music box and on top of that got another one for free, it was like a $150 item that they sent me for free. No wonder your rating is A+ and 5 stars everywhere, you guys deserve it, a company that is top notch in every aspect of what they do, don't hesitate to do business here!!!" "Got an email that I won, sent my address and song that I wanted in the music box, received it about a week later, honestly surprised. 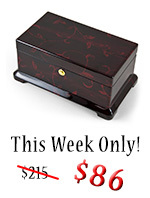 Gave it to my fiance, she was thrilled, we don't keep anything from each other so I told her I won this one at www.musicboxattic.com, she couldn't believe went on the web site and bought her sister a music box as a gift, smart marketing. Thanks very much Music Box Attic!!!" "This was such a surprised, I couldn't believe it. I actually won a beautiful Sorrento Inlaid music box from Music Box Attic. 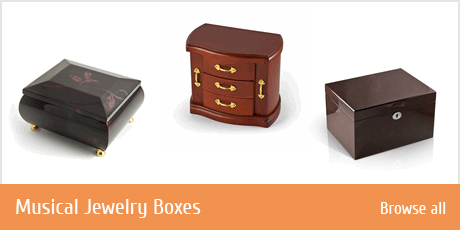 I have purchased 3 items already from them and every time I am so happy, the music boxes come really fast, within a day or two with ground shipping and they are always so perfect, everything customized correctly, music and engraving. But winning an actual music box was the cherry, whip cream and frosting on top of it all, can't say enough good things about this company, I recommend everyone to get their gifts here, they are so unique and one of a kind. 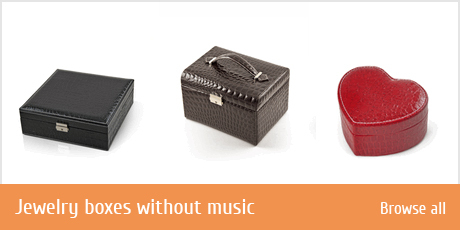 Have never found anything so nice, inexpensive and perfectly personal as a music box, thanks Music Box Attic." "Thank you so much for the wonderful porcelain flowers music box, I got to even choose my song which goes back to my childhood days, I gave it to my mom and she was absolutely stunned at how nice it was and how beautiful it is. Absolutely perfect Christmas Gift and right on time, and best of all, FREE...I am a happy camper, never won anything in my life before, totally surprised at the service and actually for winning a really item that will last a lifetime." 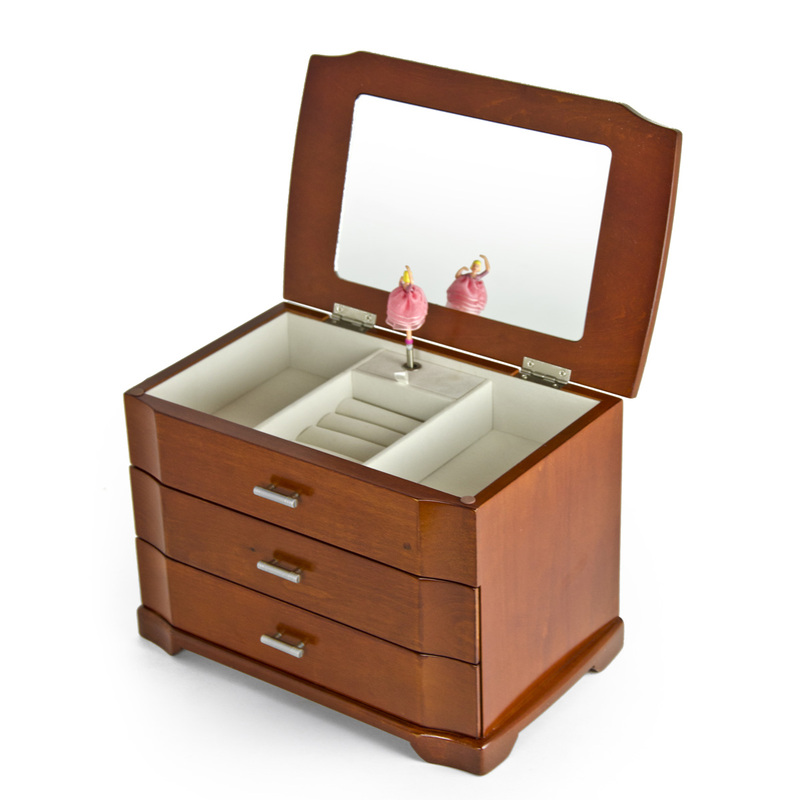 "Music Box Attic was great to work with when I purchased my initial item and just thought, "why not?" so I put my name down, got an email "YOU ARE THE WINNER OF THE MUSIC BOX ATTIC CONTEST GIVEAWAY", and thought they are playing around, lol, nope, got the music jewelry box in a few days, amazing, still can't believe it. Thank you all at Music Box Attic, your company is truly one of a kind and the service is unmatched :)"
"What a shocker, I have bought from Music Box Attic before, actually picked up my order and went back online to check out what else they had since they have everything boxed up in the warehouse, and figured I would try my luck and enter the contest, plus used the 15% off coupon for entering, amazingly enough a few weeks later got an email that I WON! Thanks, I came and picked it up the next day, gave it to my mother as a gift and she loved it, no occasion, just because, can't be happier, will tell everyone about the amazing service and quality products, and of course about the fact that I actually won something." "Thank you so much Music Box Attic, I have never won anything in my life and to win the travel jewelry box was a big surprise. The box was perfect for me as I do travel a lot and will use it constantly, and how much better is it that it is free, yey, so excited, thank you, thank you, thank you :)-> Will enter again right away hoping to win a music box this time, wishful thinking, but hey, why not!" "Thank you so much! I had a good experience when I bought a music box for my granddaughter. Very good customer service! I told my friends about your company and your products. I will definitely check from time to time gifts for my family and friends. Once again, thank you very much!" "I have already bought something from Music Box Attic, twice and while communicating with one of the customer service guys via email I noticed a link to sign up and win a music box, I did for the fun of it, next thing I know I get an email stating I have won, WOW, I was in shock, first time in my life I win something. I got the box within a few days which was perfect since my wife's birthday was around the corner, it was beautiful, and for free, no shipping cost, nothing, again WOW...I thank you all so much for the wonderful experience and efforts, Music Box Attic is truly a very unique and one of a kind place, they really care about what the customers think and say about them and that is a formula for success, thanks again and again!" "I first thought they were kidding when I got the email, I gave the address still being a bit hesitant. In one week a package shows up at my door step, it was a $390 Sorrento Box, are you kidding me? I couldn't believe it and still don't. I am so impressed with the service and quality of the product that I will buy all my gifts now from Music Box Attic. This is the box I got Radiant Single Stem Red Rose with Rosewood Frame Musical Jewelry Box I just had to show you guys, it is gorgeous and is perfect for my bedroom. Thank you so much, you have a customer for life." "Winning a music box was a great experience! Not only was I excited that I won something but I was excited that it was a music box from Music Box Attic! Once I revived my music box I was presently surprised when I opened the box to find a beautifully crafted music box. I opened it up and played it. The music coming from the music box was clear a pretty! Now not only did I win a beautiful music box but it was very easy! I got an email saying I had won a music box from Music Box Attic. I responded with my address and waited for my music box to arrive. This was a wonderful experience and I am looking forward to doing more business with Music Box Attic in the future! "I've been a staple shopper at the musicboxattic ever since buying my first 16 note piece, miniature piano stand and have returned time after time as my one stop shop for all things music box related. Unless one gets very lucky at the local swap meet, acquiring a specific music box is all for naught. I am extremely picky and this only speaks volume of the company in hand as I not only expect great after-service long after the product has been purchased, but the plethora of musical selections enclosed by aesthetically appealing boxes is an absolute must. The winning entry is just an icing on the cake as I am a frequent visitor to the site regardless of the promotion, but this gift couldn't have come at a better time right before the holidays! Music Box Attic, thank you again!" "Music Box Attic, Thank you so much for the beautiful ballerina music box for my granddaughter who is due December 27. The musical tones of "Somewhere Over the Rainbow" are just lovely. I know she will love this for many years to come. Thank you again, "
- Deborah Won the Grand White Ballerina Music Box and can't be more happy with her Win!!! 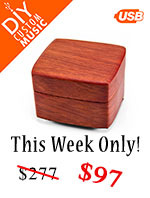 "I love the music box it will make a great aniversery gift for a very close friend that really needs a pick me up. The wood work is amazing and the music is wonderful." - Stephanie Won the Tropical Box made in Sorrento, Italy and was more then happy with her Win!!! "My experience with Music Box Attic was wonderful! The music box I purchased was absolutely beautiful, and of the highest quality. It wil be enjoyed for a lifetime. I will definitely order from Music Box Attic again!." - Diane Won the Faberge Style Musical Egg and was extremely happy with her Win!!! "Thank you so much for the e-mail letting me know I had won your music box contest. I was pleasantly surprised and look forward to receiving my music box. My son and I happened to find your website when we were looking for a music box that played "Fur Elise" which he wanted to give his girlfriend for Christmas. Ordering was easy, her music box came within the week, and she was very happy with the gift. The price was right also. So, again thank you for having your contest and making it so easy to enter. I will be recommending your website to others for sure." 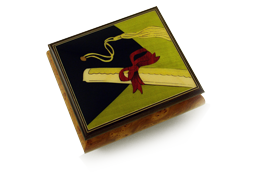 - Judy won the handcrafted Graduation music box with the diploma and was ecstatic! *By entering the contest you agree to receive your notification email if you win and future free contest offers.